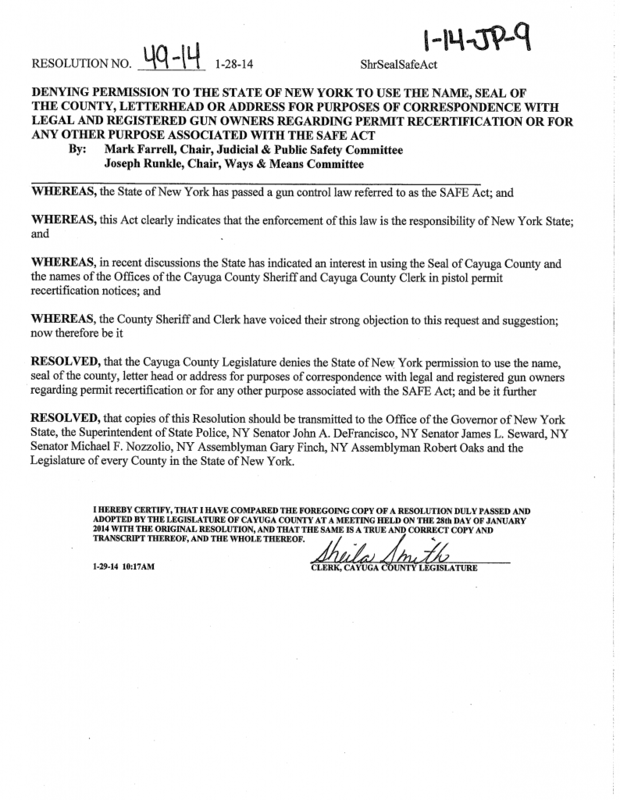 The Cayuga County Legislature passed a resolution Tuesday evening asking the state to repeal the New York SAFE Act, joining a growing list of counties voicing opposition to the stringent gun law. The vote, however, was not unanimous. 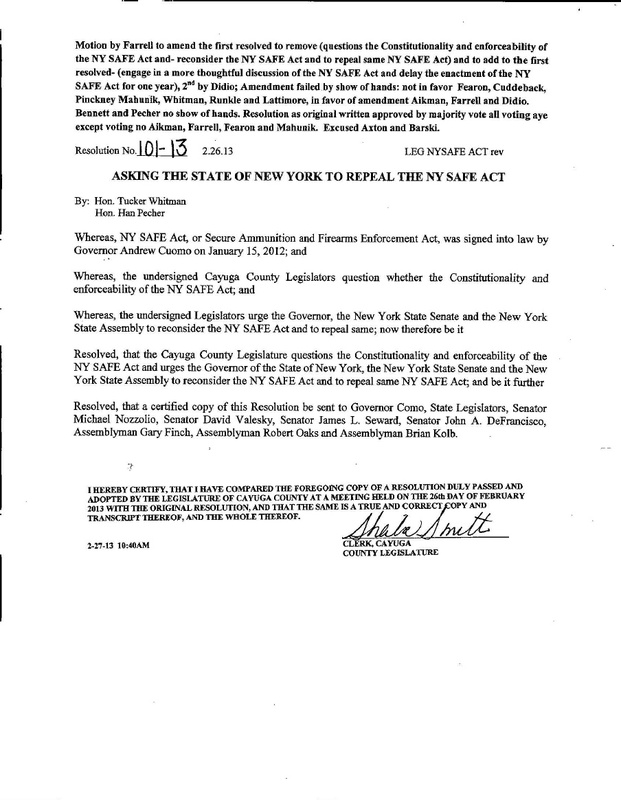 Following a fairly short discussion, the Legislature voted 9-4 to support a resolution imploring state representatives to nix the New York Secure Ammunition and Firearms Enforcement Act of 2013. Legislators Cynthia Aikman, Mark Farrell, George Fearon and Patrick Mahunik voted against supporting a repeal.